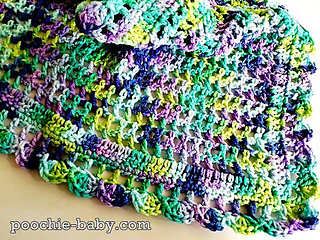 Another “One Skein” baby blanket design by Poochie Baby. 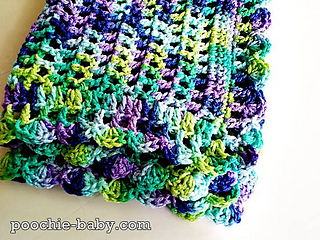 This pattern is available on the Poochie Baby blog in the Crochet Shop. 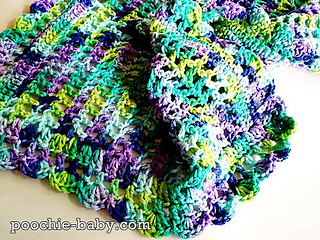 The blanket is quick and easy to make and is suitable for beginners. 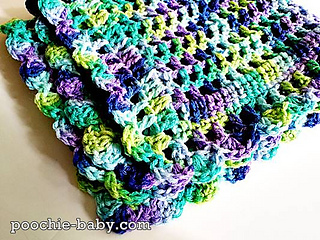 You just need to know basic crochet stitches. 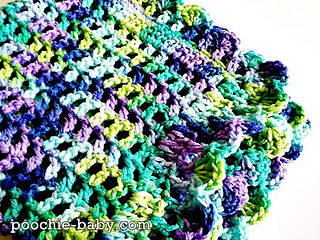 You only need at least ONE 5oz skein of yarn to complete this pattern. Visit the crochet shop to purchase this pattern!